100 years ago today Russia declared war on Germany and the fatal circus that had already begun between Austria and Serbia began its rise to global dimensions. 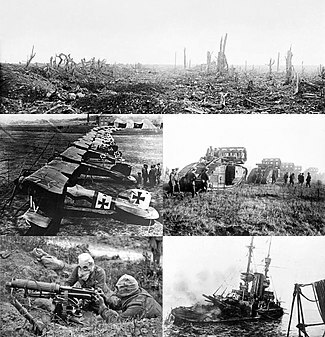 In the course of 1914 there were 22 declarations of war. This morning I heard on the radio a fascinating persepective from a man whose grandfather was wounded early in the war. A very young August Müller lost his leg and his war service was over. Every year that loss was remembered and celebrated within their family. On first consideration, it seems a weird thing to celebrate.But think about it. If August Müller had not lost his leg, he may well have stayed in the war long enough to lose his life. Considering the number of dead in that war – 17 million on all sides including civilians – this would not have been surprising. Thus this particular branch of the Müller family has August’s wooden leg to thank that they are living and thriving today, 100 years later.